Have all your Thanksgiving leftovers finally run out? Well, you’re in luck because Scottsdale’s Rhythm & Wine and Jalapeno Inferno are both hosting tasty events this week that’ll make you forget all about those turkey-stuffing-cranberry sandwiches that have been sustaining you. Rhythm & Wine On Thursday, Dec. 9 at 6 p.m., Scottsdale Rhythm & Wine will host a special down-home barbecue with the help of James Beard Award-winning chef, Joey Altman. The meal will be paired with fine wine from California, provided by Rosenblum Cellars winemaker, John Kane (who will also be in attendance). (Featured wines include Rosenblum Cuvèe Chardonnay, Zinfandel, Paso Robles, Sonoma Zinfandels and Petite Sirah “heritage clones.”) The dinner is ended with a dessert station. 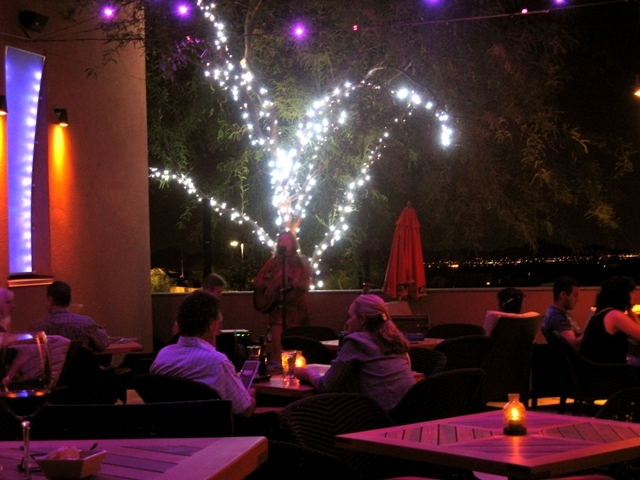 The dinner is $30 per person and guests must RSVP to 480.478.6999. http://www.rhythmandwine.com/. Jalapeno Inferno One of the Valley’s most favorite Mexican restaurants, Jalapeno Inferno, is hosting its 10-year anniversary. This weekend, Dec. 10-12, the Scottsdale eatery is hosting special menu prices, like $10 smothered steak and a $10 tequila-lime shrimp dinner, as well as live music each night. Plus, guests are invited to share their favorite Jalapeno Inferno memory–you’ve had 10 whopping years to create some!–for the chance to win 10 free dinners. http://www.jalapenoinferno.com/.